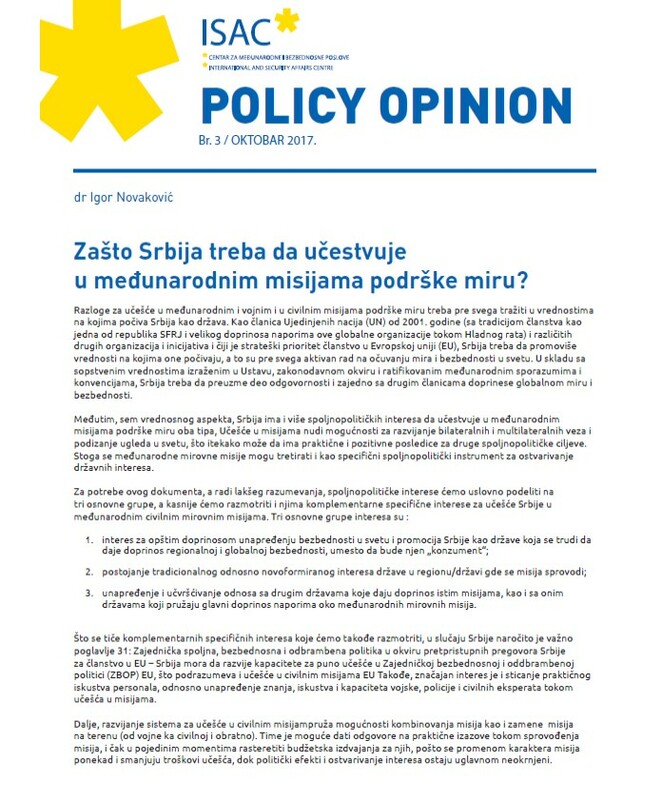 One of the most frequently asked questions about the foreign policy orientation of Serbia is the relationship between the European Union and Russia after the outbreak of the crisis in Ukraine in 2014, and the way this relationship is reflected in the position of Serbia, primarily in the context of the EU accession process. 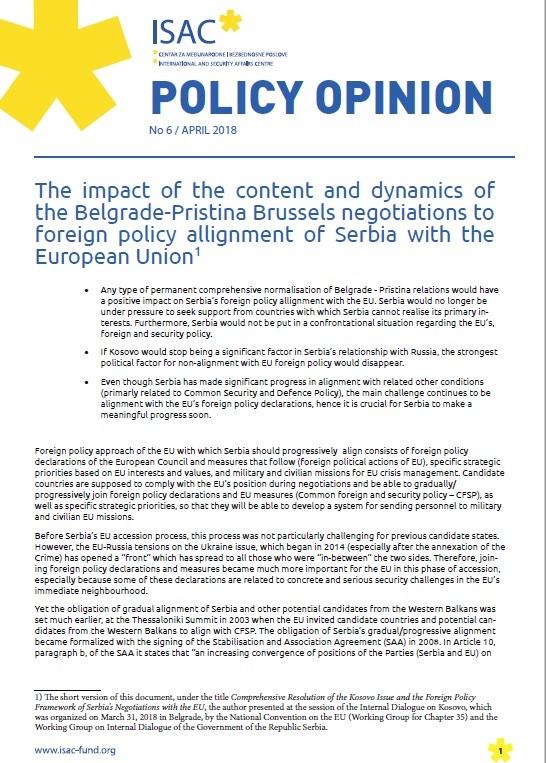 Specifically, under Chapter 31 (Common Foreign, Security and Defense Policy), Serbia is obliged to comply with the EU’s Common Foreign and Security Policy, which consists largely of joining the foreign policy declarations and measures that arise from them. In the process of Serbia’s pre-accession negotiations with the EU this Chapter has not yet been opened. 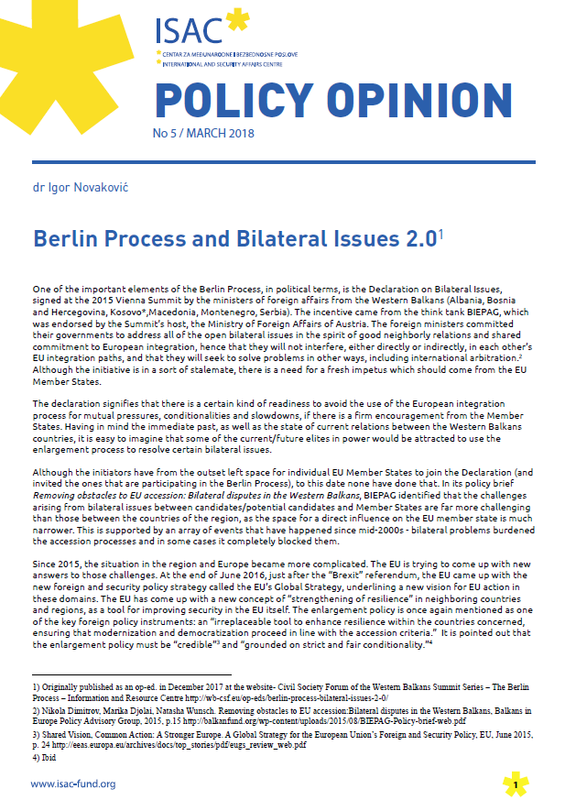 Serbia’s non alignment of the restrictive measures introduced by the EU against the Russian Federation remains one of key issues regarding this Chapter. 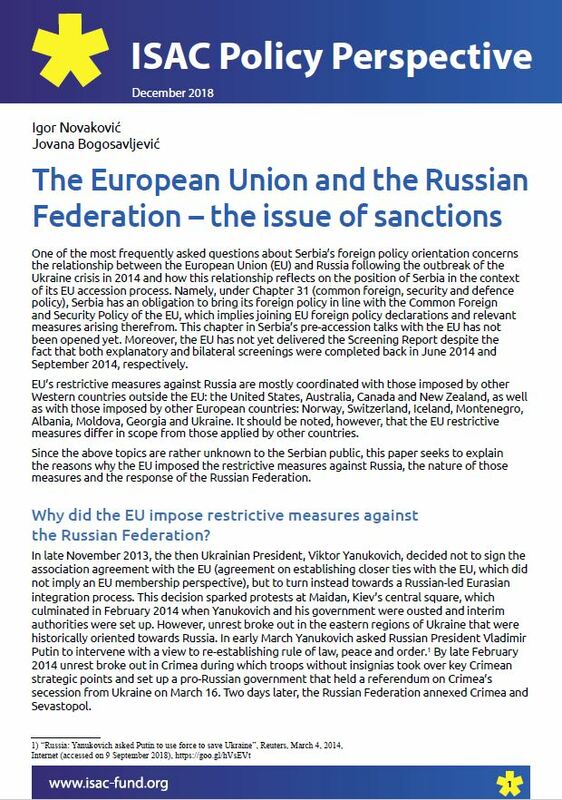 As there are large unknowns in the Serbian public about this topic, this document explains the reasons why the EU has applied restrictive measures against Russia, the nature of these measures, and the way in which the Russian Federation responded to these measures. 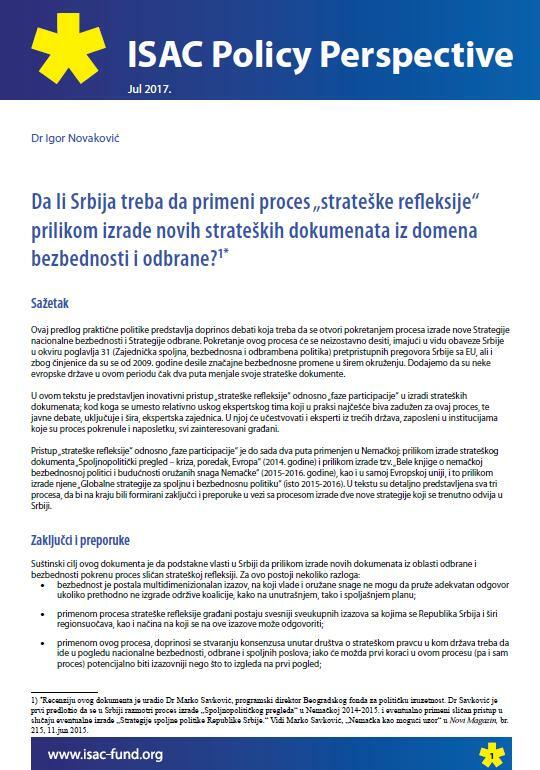 In this analytical text Željko Pantelić counters often unrealistic promises of Serbia’s imminent joining to the EU, by explaining accurate perspective of Serbia’s road to EU, and main phases of the process. 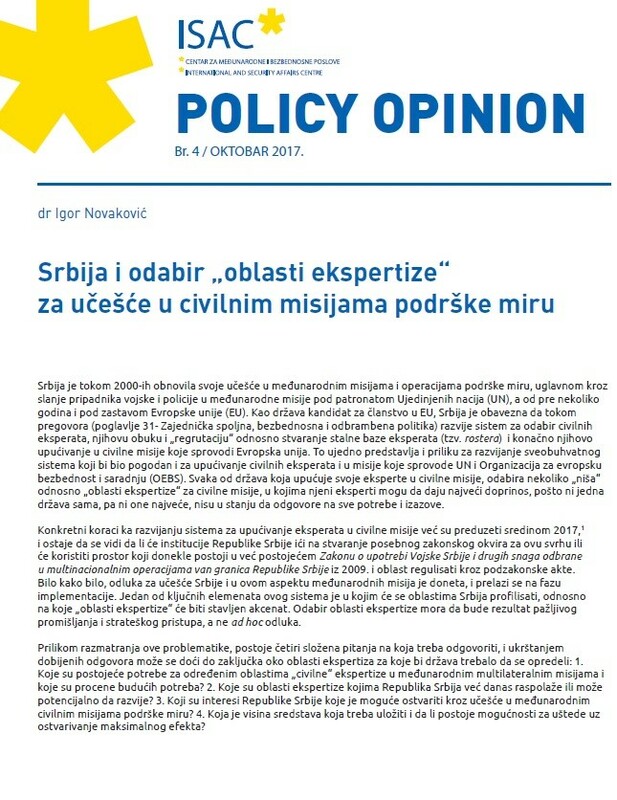 ISAC continues publishing the most relevant speeches and discussions from its “CFSP and Serbian Accession to the European Union” conference. The second publication will cover the presentation by Mr. Karsten Voigt, Former Member of the German Bundestag.